For an Amazing, Funny, Incredibly Entertaining Night … Come See John U. Bacon! 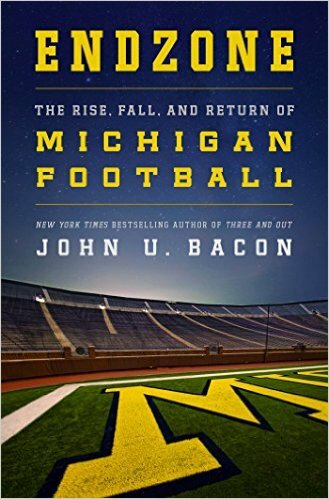 Take a seat tonight at the City Opera House where author John U. Bacon will share the inside story of U-M’s football program. But you don’t have to be a football fan to enjoy this. 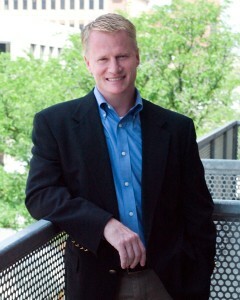 John is funny, irreverent and a VERY talented storyteller. His newest book, Endzone: The Rise, Fall, and Return of Michigan Football has skyrocketed to #6 on the New York Times bestseller list. Just as fascinating is his own story—he walked out of his first U-M Law School class within the first 10 minutes, realizing he wanted to be a writer. In Endzone illuminates, John writes how managing college football strictly as a business can ruin even a state’s richest and most respected program in less than a decade—not to mention alienating thousands of fans. Bacon, who enjoyed unparalleled access to U-M’s football program, turns Endzone into an inspiring story of revival that credits fans, players, students and alumni for rallying together to save the University of Michigan football program in the nick of time. For tickets, go online, call 231-941-8082 or in person at the City Opera House at 106 E. Front Street in downtown Traverse City.